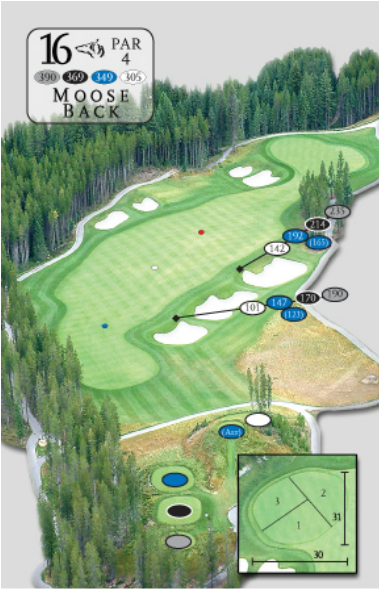 An ideal drive will carry the cross bunkers and stop on the right side of the fairway. A delicate short iron approach must clear the deep greenside bunkers. Errant shots over the back are in serious trouble.